Trixie’s (6) kindergarten class is reading Beezus and Ramona, a book series I loved as a child. 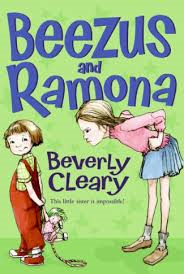 We are reading the Ramona books and we are reading the one where Ramona and Beezus’ aunt marries Uncle Hobart, and I decided to have a writing prompt about it. When I reviewed all of them this morning, I laughed when I got to Trixie’s. I love how Uncle Hobart has the ring and the box, and how Aunt Beatrice has a surprised look on her face. But most of all, I really dig Uncle Hobart’s beard. You raging hipster, Uncle Hobart! P.S. 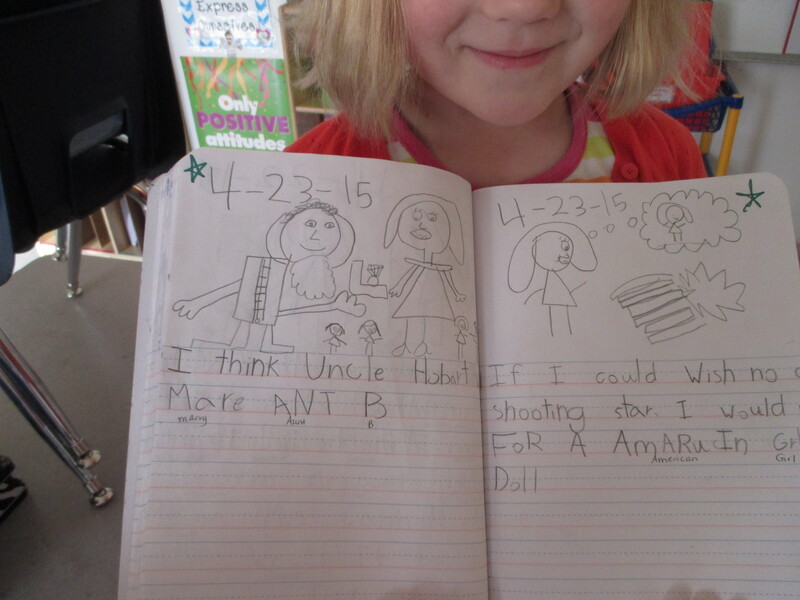 Writing prompt on the next page reads: “If I could wish on a shooting start I would wish for an American Girl doll.” No surprise there.